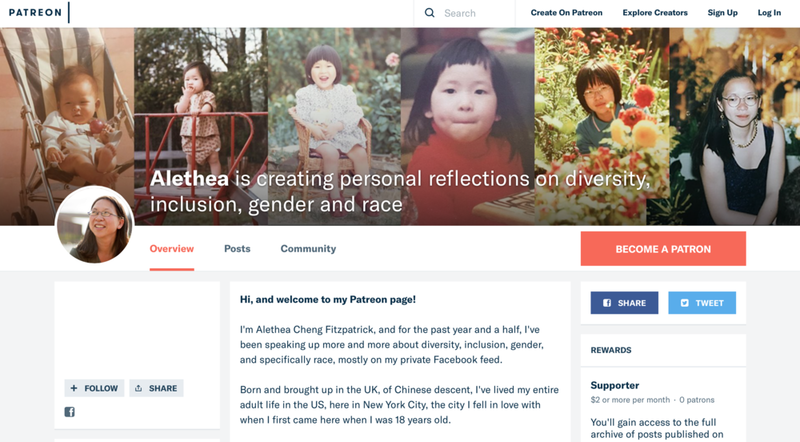 It's been a labor of love, but I have copied over all my Facebook posts on diversity, inclusion, gender and race (and yes, the election) to my new Patreon page, which is now live!!! I invite you to take a look, and I hope you will join me there. The first 20 Patrons at the $10 level or more will receive a welcome postcard designed by me and sent via snail-mail with a personal handwritten note! Today might be a hard day, with memories of a year ago today flooding back, as we still come to grips with what was lost. I'm not going to preach hope, but I am going to preach self-care, whatever that looks like to you... for me, it was this Patreon project, and the creation of a space where I can take the personal work I've been doing over the past year into a new phase.